"Is the idea of a zapper Zelda title really as bad as it sounds?" 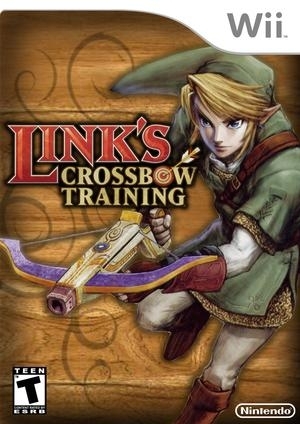 Anyone can pick up the Wii Zapper and become a master marksman in the quick-play shooting galleries of Link's Crossbow Training. Dozens of fast-paced stages offer a wide variety of game play, from shooting stationary targets to defending a supply wagon from onrushing hordes of enemies. Multiplayer modes let players and their friends share a Wii Zapper to shoot for the high score. 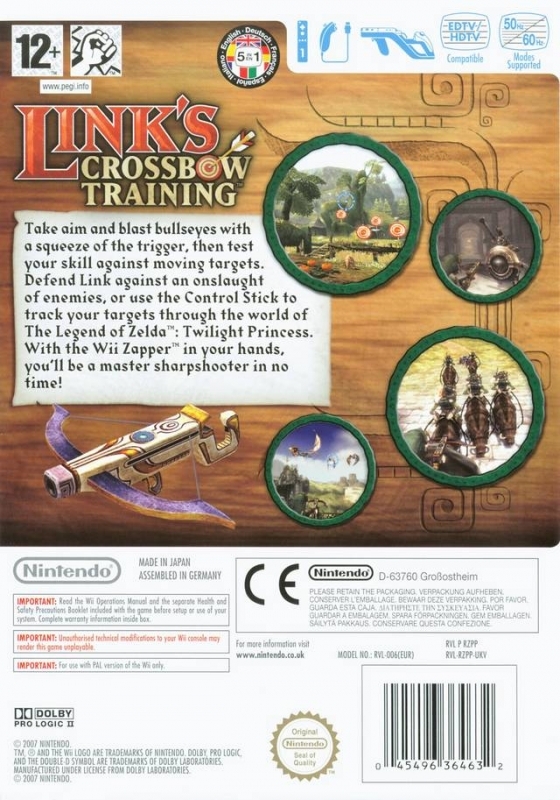 Link's Crossbow Training comes bundled with the Wii Zapper. After a few rounds of Link's Crossbow Training, players will be more than ready to pick up any of the future Wii Zapper titles, like Medal of Honor Heroes 2, Ghost Squad and Resident Evil: The Umbrella Chronicles. 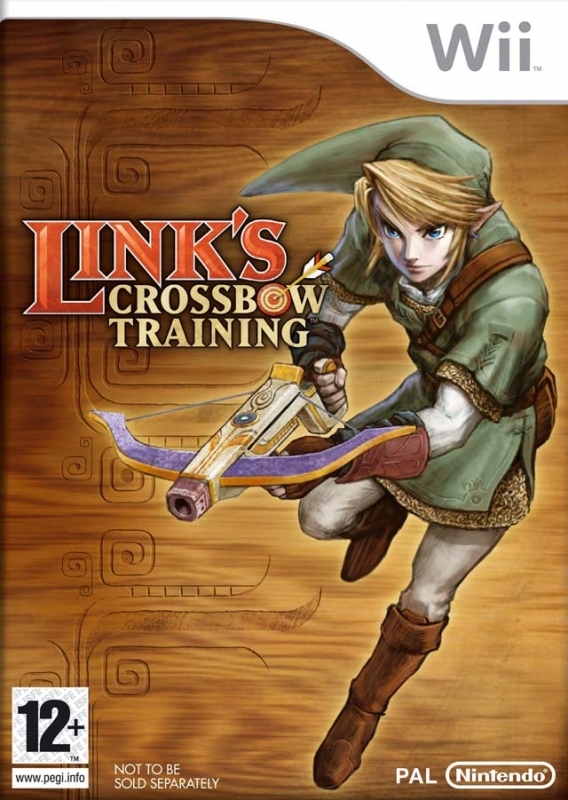 Link's Crossbow Training contains three basic game styles: target shooting, defender and ranger. 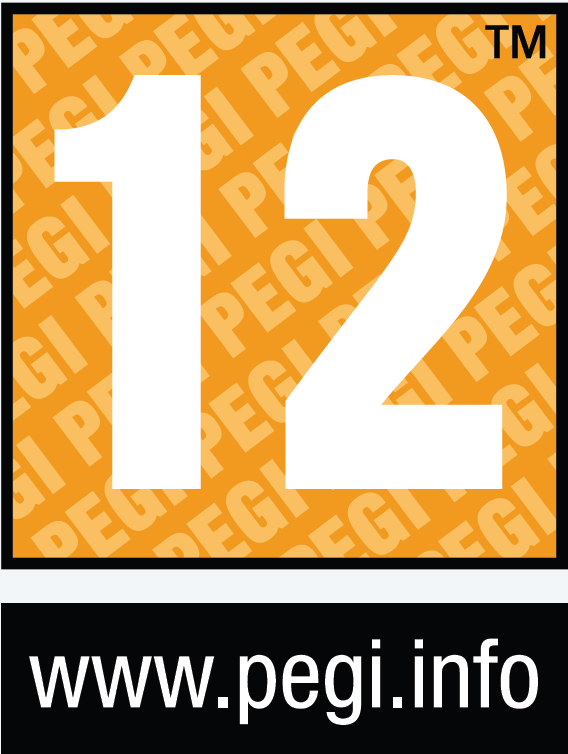 There are 27 stages in total, and these categories represent only generally how each individual stage operates. 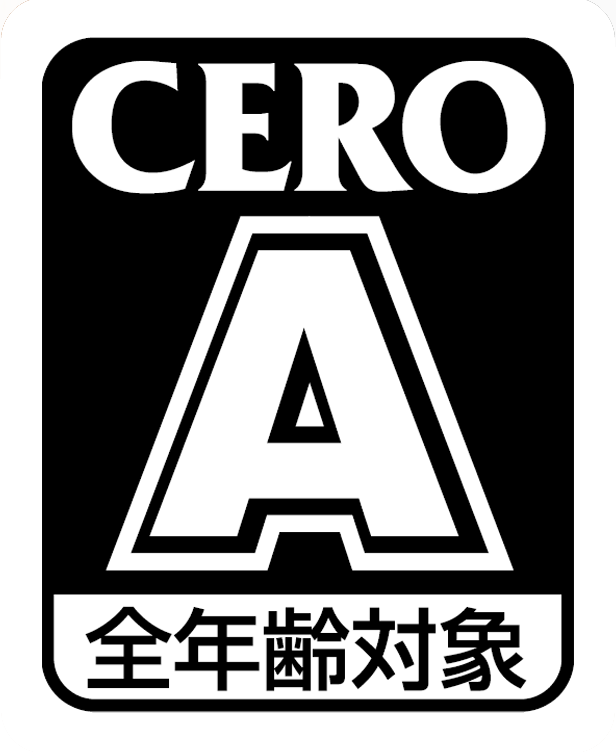 Each stage's goal is to earn the highest score possible within the time limit. All rounds can be played with multiple players: Players pass the Wii Zapper around and then play one at a time and compete for the high score. Target Shooting: In target-shooting rounds, players shoot bull's-eyes as they pop up on the screen. In early stages, targets are stationary. As the game difficulty increases in later levels, the targets move. Hitting the center of the bull's-eye nets more points, and hitting targets in succession without missing earns combo multipliers. Link can aim anywhere on the screen. Defender: In defender rounds, players remain stationary but can look and aim in all directions – sometimes even in a full 360 degrees – by aiming off screen. Hordes of enemies assault Link, and he must fight them off. These battles have a great deal of variety, from fighting off skeletons in a desert to defending a wagon from boar-riding Bokoblins. 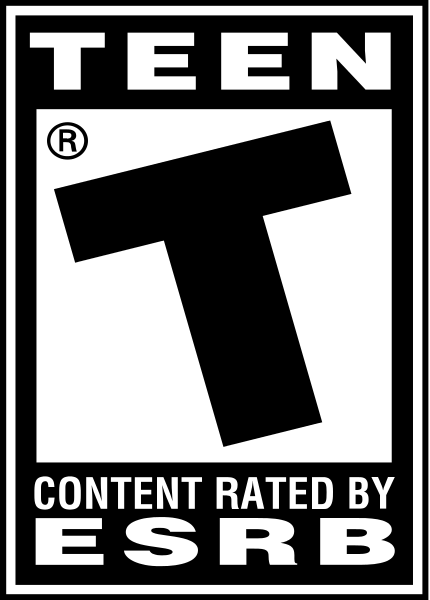 Ranger: In ranger rounds, players can move throughout the level using the control stick and aim anywhere they want by aiming the Wii Zapper wherever they want to look. In these missions, Link storms enemy encampments, fights his way through a forest and seeks out his foes while exploring the environments. The Wii Zapper requires the Wii Remote and Nunchuk, housing both in a comfortable and intuitive frame. 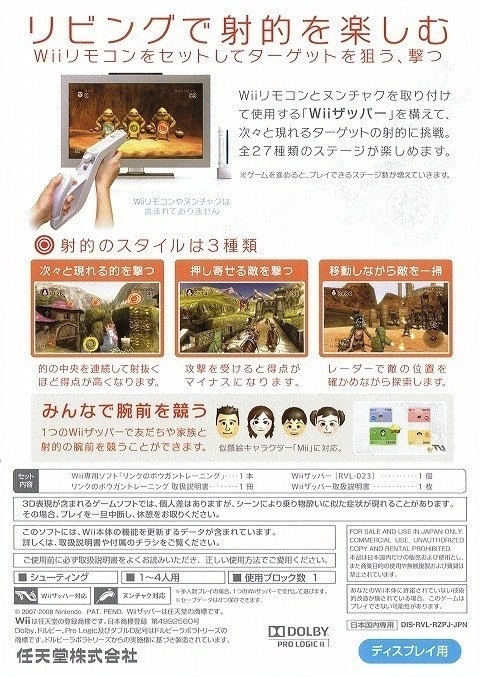 The control stick on the Nunchuk controls player movement (on stages that allow player movement), while simply aiming the Wii Zapper moves the targeting reticule on the screen. 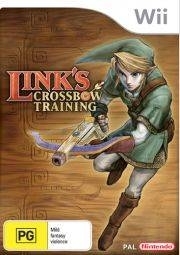 Pulling the trigger fires Link's crossbow. By aiming off screen, players can turn Link to face in a new direction (again, on stages that allow this). Wow! It tooks more than 3 years to sell the missing 0.02M to reach 5M, but finally did it. Hours of addicting game play have kept my wife and I attempting to progressively out do each other for the last 3 months. 4.98M, Oh come on so close to 5M! Hope it breaks the 5 million mark, I liked the zapper a lot, I use it always with on rails shooters. And I really like it that they've used Zelda TP to demo it!